Lock in a great price for Clayton Hotel Cardiff Lane – rated 8.4 by recent guests! 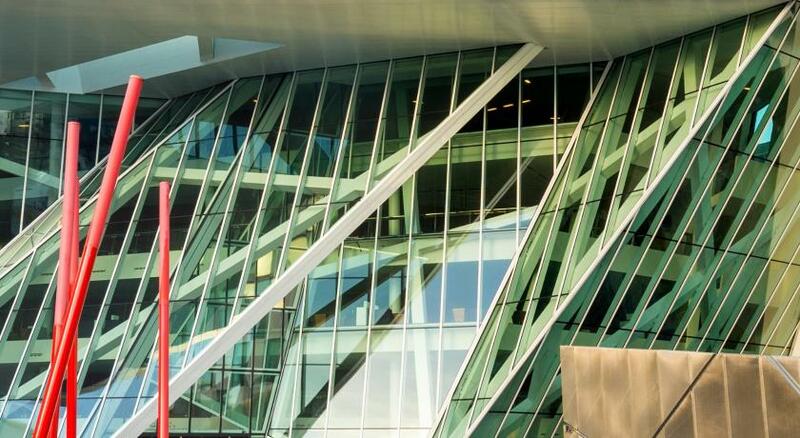 The hotel is new, the rooms are large and it is in a walking distance from the city center. 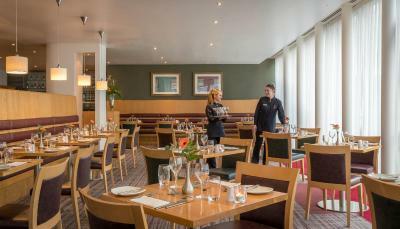 The Clayton Hotel Cardiff Lane is a good and comfortable hotel with friendly staff. The hotel is located east of the city center and it is easily reachable. 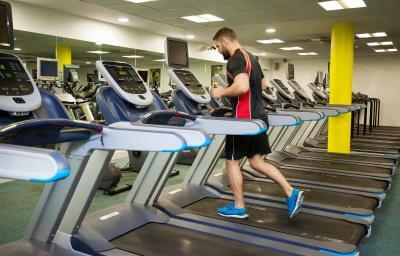 The facilities include a fitness center and spa and bars and restaurants. The room was very big and clean and the hotel in general had a nice atmosphere, but i think breakfast should have been included. It's about a 20 minute walk to the centre. I really love the location of the Clayton Hotel. Unfortunately I didn't have time to use the pool and spa but hopefully next time! Very friendly helpful staff. Position of hotel close to city centre and hop on bus stop across the road. Good sized room, comfortable bed. General layout of hotel, mezanine was a nice touch too. Spacious and comfortable hotel rooms. Pool facilities are very nice and well kept. Clayton Hotel Cardiff Lane This rating is a reflection of how the property compares to the industry standard when it comes to price, facilities and services available. It's based on a self-evaluation by the property. Use this rating to help choose your stay! 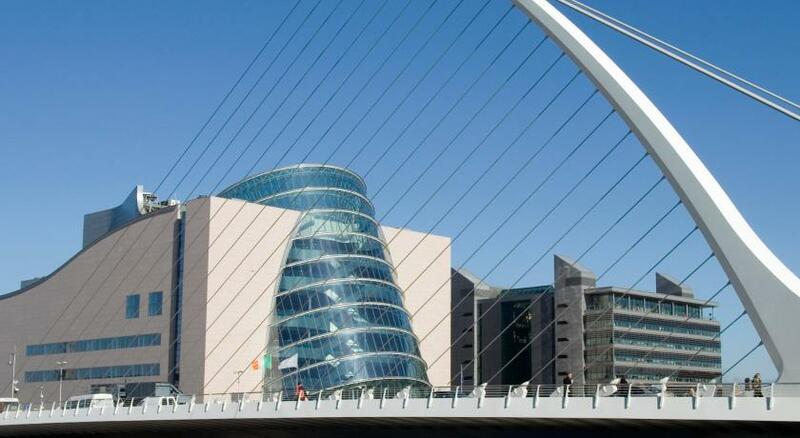 One of our top picks in Dublin.Next to the river, this 4-star hotel overlooks the Bord Gais Energy Theater. Guests can enjoy its spacious rooms, 50 feet swimming pool, and health club, just 10 minutes’ walk from the 3 Arena. 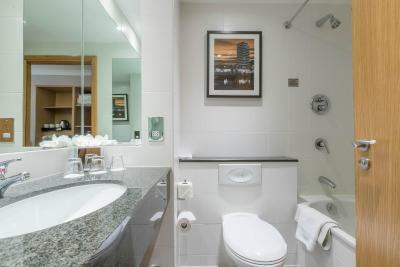 Modern and colorful, each room at Clayton Hotel, Cardiff Lane includes an interactive TV and a private bathroom with a power shower and hairdryer. Free WiFi is available, along with a spacious work desk and tea/coffee facilities. Club Vitae Health and Fitness Club has a 50 feet swimming pool, a Jacuzzi®, sauna, steam room and gym. 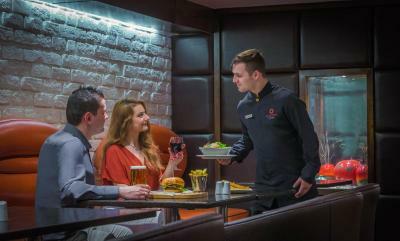 Stir Restaurant serves both European and Irish cuisine with fine wines, while Vertigo Bar provides cocktails and drinks in stylish surroundings with plasma-screen TVs. Pearse Street Train Station is only a 10-minute walk away from Clayton Hotel, Cardiff Lane, and bustling Grafton Street and Temple Bar can both be reached in 20 minutes on foot. 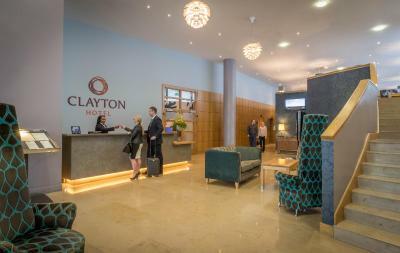 When would you like to stay at Clayton Hotel Cardiff Lane? A bright and spacious bedroom with a queen-size bed and free Wi-Fi. This room type is not suitable for families. A bright and spacious bedroom with a queen bed and single bed, as well as free Wi-Fi. These stylish Executive Rooms feature a lounge area, a king-size bed, bathrobes and slippers. There is a coffee maker, mineral water and chocolates. There is also a flat-screen TV featuring Sky Movies and Sky Sports channels.Some rooms feature a balcony. This room type is not suitable for families. 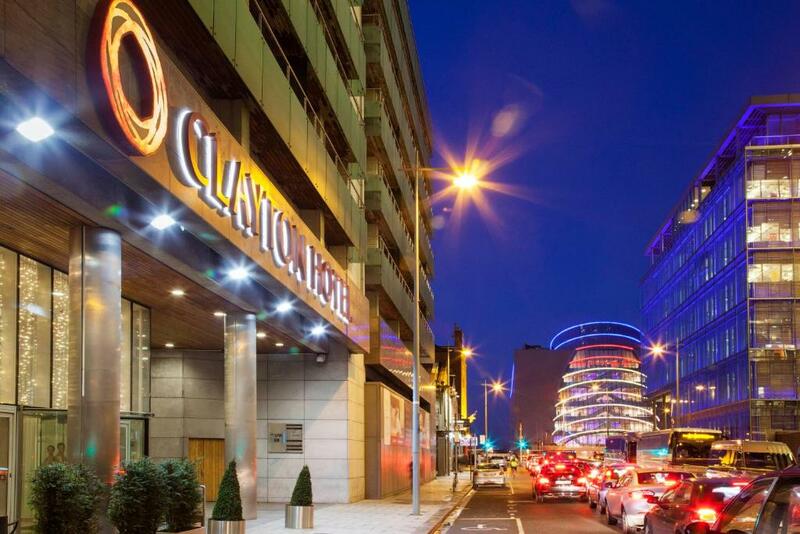 The Clayton Hotel Cardiff Lane is located on the banks of the River Liffey, across the road from the Bord Gais Energy Theatre and just a short stroll to the IFSC. The hotel offers some of the best facilities in the city as well as very warm welcome. Please note, for 10 rooms or more booked the hotel will contact you and will require a booking deposit of 10% Group Terms and Conditions will apply. 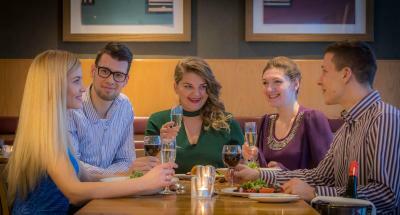 House Rules Clayton Hotel Cardiff Lane takes special requests – add in the next step! Clayton Hotel Cardiff Lane accepts these cards and reserves the right to temporarily hold an amount prior to arrival. The property does not have its own car park however there is Pay & Display Parking on the street outside the hotel operated on a first-come, first-served basis. 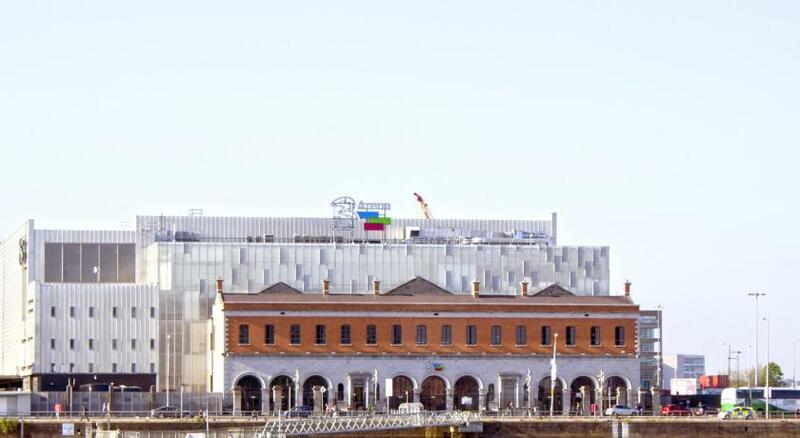 Alternatively there is a public car park located in Grand Canal Square, across the street from the hotel, and can be booked in advance by contacting the property. Please book tables for the bar or restaurant in advance, using the contact details found on the booking confirmation. All guests using the swimming pool must wear a swimming cap. Swimming caps can be purchased at Club Vitae reception for EUR 2.50 each. From Monday to Friday children are permitted to use the pool until 17:30, after which it is adult swim time only. However, during, weekends, bank holidays, summer months, Easter, Halloween, and Christmas midterm breaks there are no restrictions. Please note there may be closures of the restaurant, bar and leisure facilities during the Christmas period. Please check with the property for further details. Construction wasn't great outside my window, but that's hardly the hotel's fault. Had drinks and sandwiches before going to theatre. Bread was slightly dry and curled. The lack of professional training was obvious. The person in charge should really have instructed staff how to prevent this. BASIC! Annoyed that they wanted me to pay extra for hot chocolate. First time I have encountered this. Excellent by international standards. Great gym. The door was broken to our room the whole weekend and were told it would be fixed but it never was. Had to get porters to let us into our room. The location was very good clean hotel. Attitude of staff, fewer facilities than other 4star hotels. It was super amazing. I completely enjoyed every bit of my stay!! Room was a little dated and there was no air conditioning. Comfortable bed. really reasonable size room and staff were friendly. Very expensive for a triple too. Too long to check in and slightly over priced.